Nationwide contractor, fabricator & installer of architectural sheet metal & roofing: slate, tile, metal & other roofing; ornamental ceilings, cresting, finials, cornices, cupolas, domes, steeples & snowguards. In addition to renovating and restoring historic landmark buildings we are also full service roofing contractors. We have been providing quality craftsmanship in roofing and architectural sheet metal nationwide since 1974. We specialize in projects where roofing and architectural sheet metal work comprise the majority of the work but often include extensive structural carpentry, steel repair, masonry repair, siding work, painting, and cleaning. Our work often comprises the entire exterior envelope of a structure. 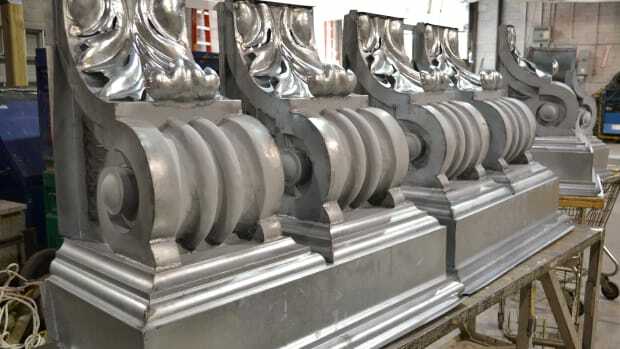 Most of the work and fabrication is performed in-house using our own resources. This ensures our customers the highest degree of quality control and cost effectiveness. 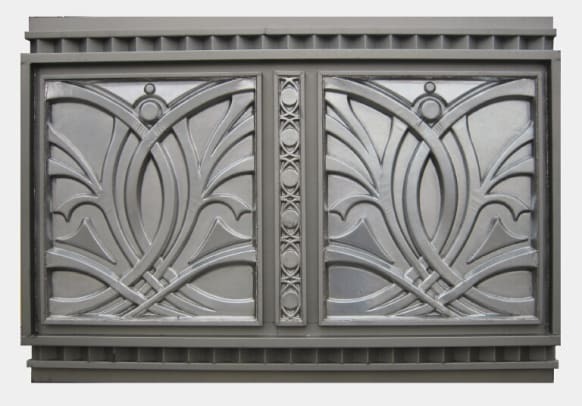 Custom fabricator & supplier of sheet-metal roofing & specialty architectural sheet metal: finials, cornices, capitals, cresting, canopies, shingles, siding, cupolas, steeples, domes & snowguards; reproductions; custom bronze windows. Hans Liebscher Custom Copper Works & Sheet Metal, Inc.